Judd Zulgad and Chip Scoggins of Access Vikings are on a mission to put together names of prospects visiting the Vikings this week. I am way ahead of them if you look under our “2010 Offseason Tracker” but they are still uncovering a few names that were not previously reported. The two latest additions are cornerback Patrick Robinson of Florida State and defensive end Jason Pierre-Paul of South Florida. Both players are thought to have first round potential and both could conceivably be available when the Vikings choose at #30. The inclusion of Pierre-Paul is interesting because defensive end is not thought to be an immediate need for the Vikings unless somebody signs restricted free agent Ray Edwards to an offer sheet. 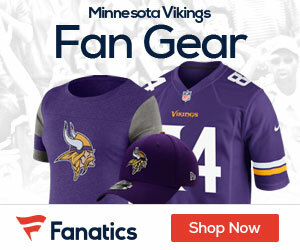 If a team did sign Edwards, they would be required to give the Vikings a first rounder in return, which could possibly put the Vikings in a better position to draft a top prospect like Pierre-Paul. Of course, maybe they’re actually just bringing him in to see how some of the offensive linemen prospects hold up against one of college’s top pass rushers. Robinson, on the other hand, could very well be a realistic option for the Vikings no matter what goes down between now and draft day. Since you posed the question, do you think the Eagles might make a run at Edwards? Or maybe somebody else? I am having trouble getting a sense for how teams are approaching the whole RFA thing this year with all the funky rules. Are they going to just let it pass by without much done? Or are teams sandbagging, all holding out until the last possible moment? Either way, that window to make offers to RFAs is closing quickly. I would keep an eye on the Eagles, however, as they would love to find ways to improve their front 7. I agree, this to me has been one weird free agency period. Some big moves went down the first 7-10 days then it went into a coma with momentary signs of life. A lot of trades already this “offseason”. It’s also hard to read the Patriots this year. They haven’t done anything and they have a ton of holes to fill. I know they have 4 picks in the first 2 rounds but I don’t think you can count on drafting 4 contenders for Rookie of the Year honors. However, at least the Lions are trying to get their franchise at least partly on track. Speaking of D-ends there is a nice article about Brian Robison on profootballfocus.com that is worth checking out. Earliest selections in the draft have the worst value. 3 Qb’s in the top 25!!!! would branden marshall be sweet as a viking!!!! Marshall is a kook. Yes on his talent, hell no on his attitude. Marshall is a legitimate criminal that has actually hurt people inthe real world… T.O. might be an idiot when it comes to football business, but I don’t think he deserves to be thrown into the same pile. What’s this Freds hears about the Vikes having QB prospect R.J. Archer in for a look? This is silly. Archer went to a college called Bill& Mary. Dude has played QB for 1 year. Let’s not do this again! But Freds, we need the drama. All of these second rate QB’s that we bring in.